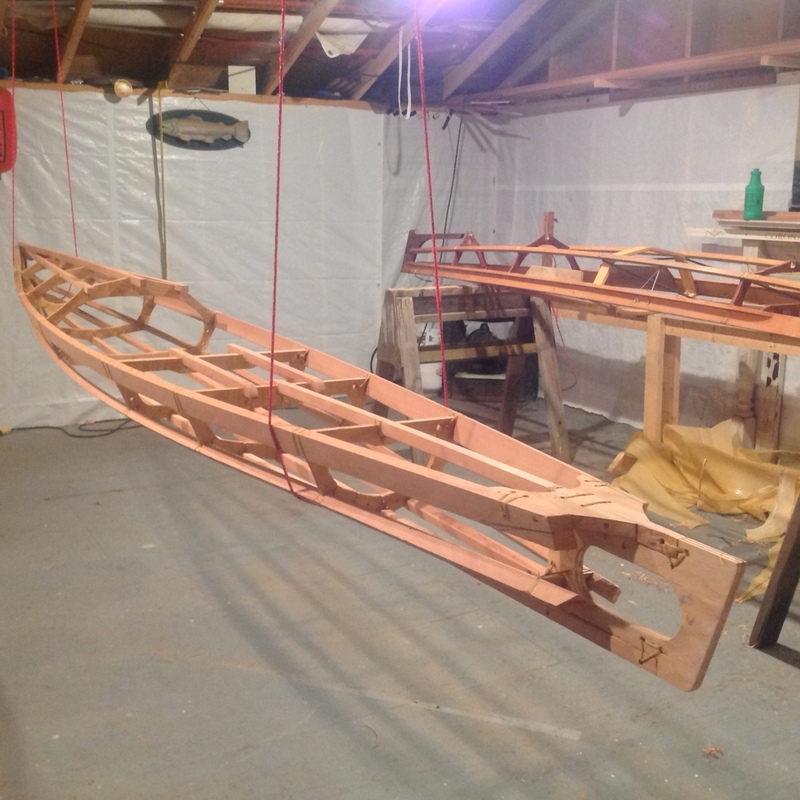 Building a kayak not only gets you a wonderful kayak, it is a great experience as well. It's not difficult to do and there is a lot of satisfaction involved with paddling something you built yourself. Below is some general information about classes then come back and read about the 3 ways we offer to build your kayaks. Local and Stay and Build classes are held at our dedicated work space on Gabriola Island. If you are travelling here by ferry we can drive you to and from saving you the price of bringing a car, except for the last day when you will need to take your kayak home. 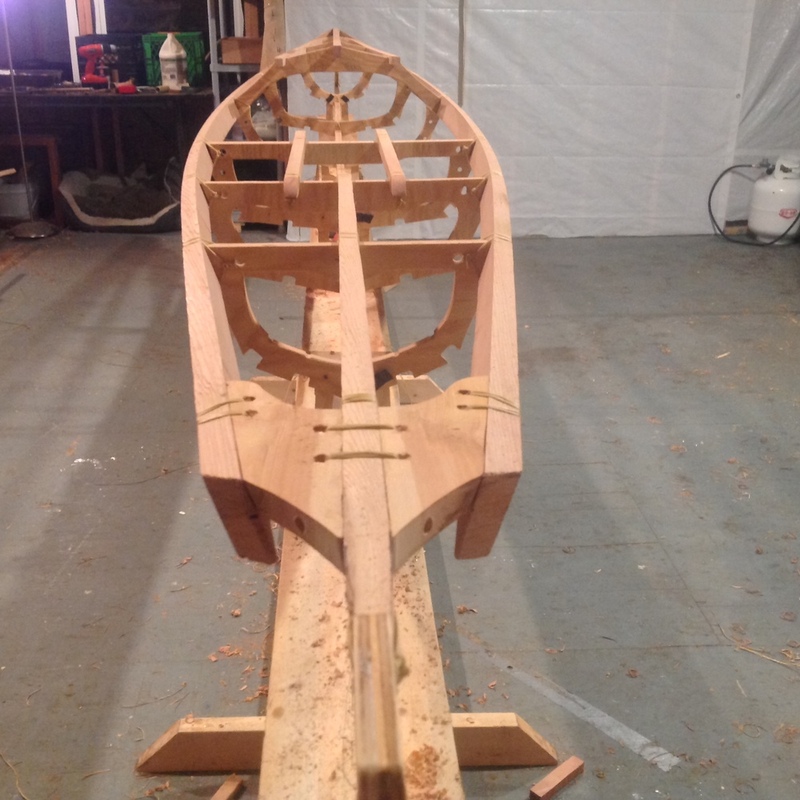 The space can fit 4 kayak builds, if you are a group or family and sign up all at once I'll discount the whole class. We supply all the tools, wooden frame parts (marine grade fur plywood and red or yellow cedar, mostly precut), steam bent coaming, lashing and sewing threads, skin & coating, seat, AmSteel deck lines, foot braces and instruction. You provide your lunches. All the supplied parts from the Skin Boat Store have been tested by us and work great but if you have a preference for something different then what we provide let us know a minimum of 2 weeks before class start and we will subtract the cost of those items from your price. You are responsible for providing your own parts should you not choose to use the ones we provide. Build time is approximately 40 hours although we try to become more efficient and faster with each class. Full time, weekend or evening classes are all possible. This is adequate time and I will be there to assist but bring a friend along and it'll go faster. Extra access to the work shop out side of class time can also be arranged. No previous wood working or sewing experience is required but patience and attention to detail will be an asset. 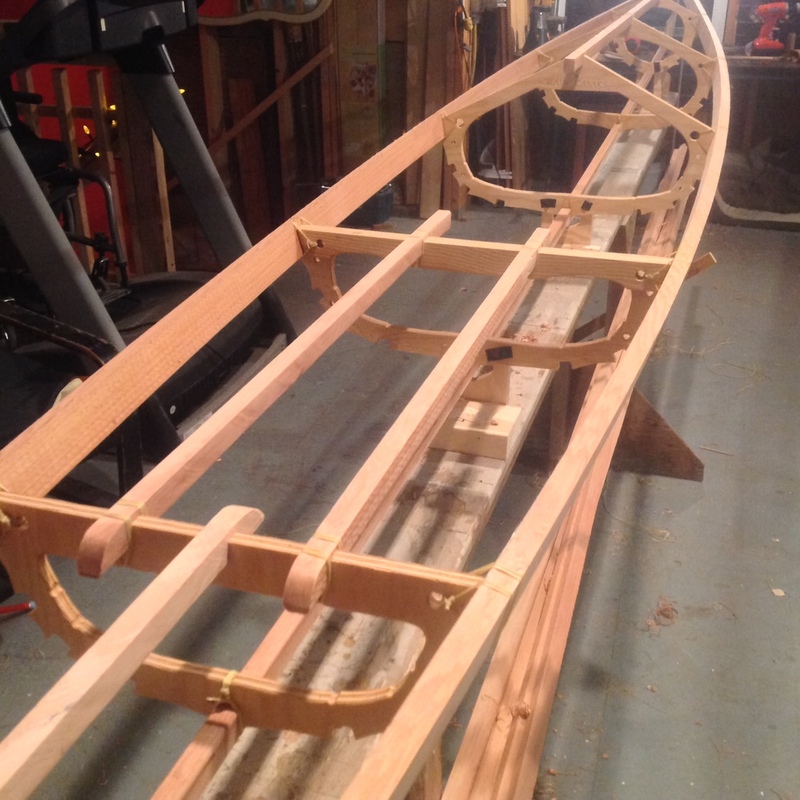 To decide on the kayak that's right for you we start with a few body measurements and displacement. Knowing your size and your weight plus whatever extra gear you like to carry ensures a kayak that fits you. From there you can choose your front and rear deck styles as well a few other details (with our help if needed). Other options available are the Baidarka bow and stern for an extra 75$ and the multi-chine hull for 125$ (get both options for 175$). The costs cover the extra materials and instruction time required but you will also need to put in more time to build these options. I will also order anything else you might like from The Skin Boat Store at the same time I order the class supplies. No extra charge and you can save a bit on shipping costs. Greenland Style Paddle Floats and Float Bags are a popular choice. 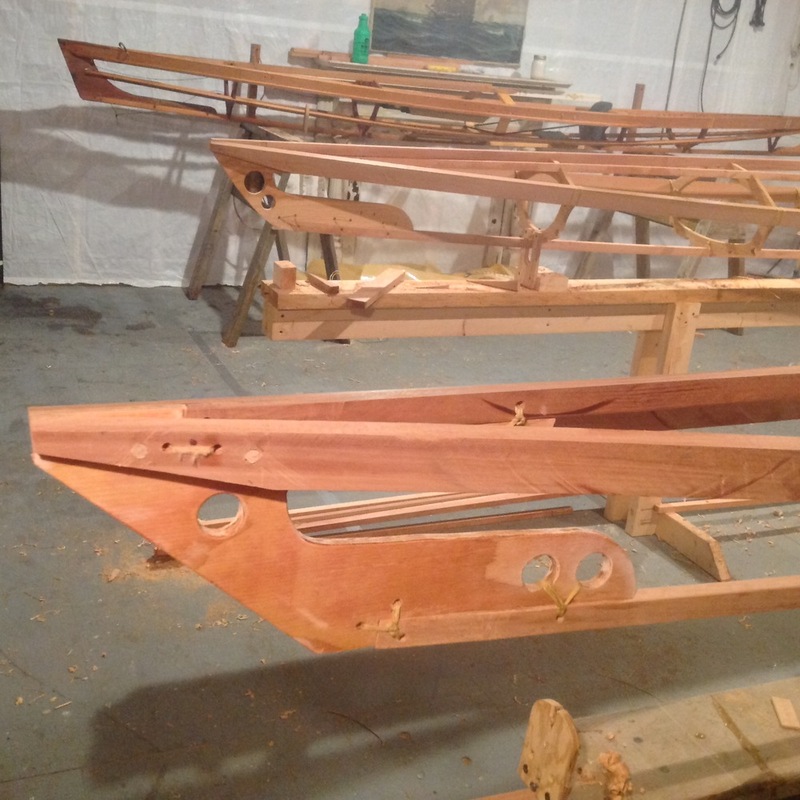 These are wonderful kayaks to use and fun to build but please recognize that there will be imperfections inherent in the hand building process. We don't see these as negative things, we think they add authenticity to the fact that you built it and it's all part of the story that makes your Kayak unique. Finding beauty in imperfection works well here.